Linda and Dana are always friendly and helpful and i loved how clean the car was when we picked it up. I gave it a couple of days to e-mail you about the car as I wanted to make sure it wasn’t the fact that I didn’t have to ride the motorcycle that was driving my feelings BUT I can tell you honestly now that you guys nailed it!!! She is a BEAST!!! My congrats to you and Mark and the rest of your team for an OUTSTANDING job! Thanks so much for the superior craftsmanship and will be seeing you often for her scheduled maintenance! I will be bragging about your team and referring anyone that needs work done on their cars! Thanks again for the work, she is everything I thought she would be and more! Already recommended you twice. You did me a great service last week. Linda was all over my failed H2O pump from my guy in MN and saved me some $$ and grief. I have been dealing with European Auto Tech for at least 8 years. I tell everyone who asks, or does not ask, that I think European is the best. They take care of me and my Jetta. They are honest, reliable, wonderful customer service and will only deal with them…not the dealerships. John, Dana and Jeff are outstanding. Proud to be a European Customer! I have been a client for several years and have received excellent, dependable service from all including; Dana,Linda and Mark. Last year I had my front brakes replaced (Mercedes S430) and they continued to squeak for months afterward. John guaranteed his work (under warranty) and Mark appropriately replaced the faulty parts at no cost to me. Car wash is a professional touch too! 5 Stars! Ended up having to take to dealer for warranty service, but diagnosis was right on the money and customer service was excellent as usual. Excellent customer service! A breath of fresh air after our experience with the dealership that sold us the vehicle. It’s a great pleasure to call your attention to the superb service and workmanship we’ve experienced at European Auto Tech. For the last five years, owner and master tech John Ranney and his crew have provided our much loved BMW with extraordinary care. Their maintenance and repair work is simply the best. Totally reliable, completely trustworthy, always going the extra mile. We hope you will find a way to recognize John Ranney, Mark Herbert, Dana Whalen and the other staff at European Auto Tech for their outstanding efforts. If anyone asks “Who’s the best for European car care?” …. 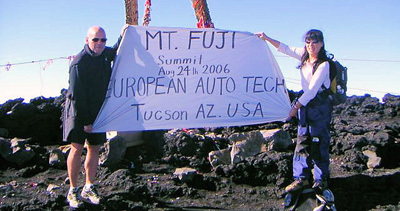 The answer is simple: John Ranney and his crew at European Auto Tech. No doubt about it. Thanks Mark! No drips on the driveway this morning! Customer service was outstanding. I was called every time there was an update on the work being done, about the status of parts on order, and in general anything that my input could be had on. The quality of the work was impeccable. I will definitely return here. Excellent service provided at all levels. Very trustworthy. Warranties honored when appropriate. This type of service is appreciated. Great, friendly shop! They all possess great people skills, and make a point to keep you informed about what they’re doing and why. 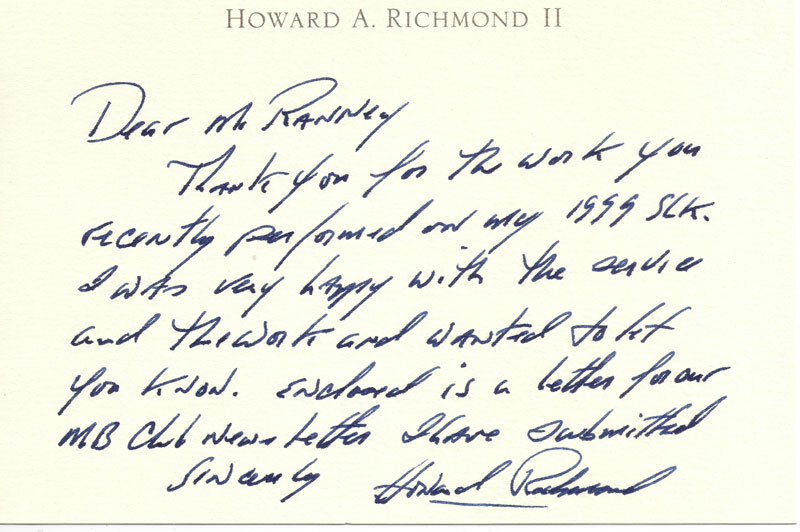 I had the pleasure of dealing with Dana, Mark, and Rick, and have only praise for them! Great work, friendly and courteous!! I will come back… I’ve been to different Indy shops, and always got the runaround… Not here!! European Auto Tech found possible gas leaks (safety first) now fixed No charge for finding all problems (for future fixes) drove my car to the front door for personnel delivery – adds up to first class And my new favorite car/fixer friends ! Innovative and on top of certain quirks cars have. We recommend this conscientious establishment. My VW has 156,000 miles and, knock on wood, it’s running great. Thanks Jeff. My car seems to be working great… You found the issues and didn’t try to talk us into anything we didn’t need or want done. We had a great experience with this repair so far. Very informative and we knew every job that the mechanic was doing because of the estimate that was given. We will return if the need strides. For a half dozen years, we have received such good care from European Auto Tech. I trust them. I am loyal to them. They stand behind their work. Their mechanics are terrific. They are straightforward about costs. Their estimates are spot on. Dana, their people-person, is a treasure! She is precise, thorough, patient. She makes sense of mechanical matters; she’s always quite clear on costs; and always provides a detailed and comprehensible explanation of what has been done and what is recommended to be done. I never depart without a printed estimate of the mechanics suggested work. This wandering Seattleite got some work done at European on North First here in Tucson-as a matter of fact the roadhaus van was in there at the same time. Nice people, good service and cute receptionist to boot. Hi All, just wanted to touch base with you guys and let you know how well the car is running. Big Mark did such an awesome job putting everything back together. It starts, runs, stops, steers perfectly. I have put almost 2,000 miles since moving to Las Vegas…NO DRIPS…You all did such a great job and treated me so well over the 5 months my car was at your shop I felt like an update was in order. Thanks again so much for making my car what I wanted it to be. P.S. living in Vegas is a trip!! Work was promptly done at the time promised. Work was, as is usually the case at E.A.T., very well done. Understood I wanted my Audi serviced right. Identified what needed to be done with complete estimate. I checked part prices online and they were at or near discount prices. Work done well too. Thanks! We’ve had several vehicles serviced here over the years including our ’86 Vanagon, a 2006 Golf TDI and even my ’78 Unimog. The mechanics are very very good and the customer service is great even if you are in a pinch and need a tow. Definitely the best automotive outfit we’ve experienced anywhere! Like most people, I don’t enjoy performing vehicle maintenance and even less having to pay for it, but it is essential to maintain properly running vehicles. I found my experience with European Auto exceptional and first-class, they provided outstanding service, are well organized, friendly and would recommend them. While on a trip from Montreal (Canada) to SouthWest, in a 85 Vanagon Westfalia, we were heading back to Canada after having crossed the borderline from Mexico to Nogales, but we had to find another garage for another fuel filter, the third since the beginning of the trip, because of a corroded gas tank. 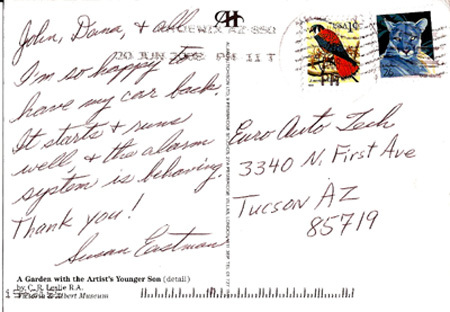 We were close to Tucson, Arizona, and after we emailed, we got answered from Larry Chase, the founder of this website. He directed us to John Ranney, the owner of European Auto Tech, in Tucson, who changed the fuel filter, a small plastic white box with 2 different ends, for a bigger Bosch part used on BMW. He also made tests with a transparent gas line to see bubbles coming in the gas, because of a wrong place of a return tube in the bottom of the gas tank. John has been very kind with many details explained to me and my wife about the repairs. We also met Larry at he garage and shared our stories of trips through America. Very nice people to meet in Tucson! Highly Recommended! John and Jeff are VW trained master mechanics and should be able to handle most anything on a Vanagon. Most of their business is on other platforms but they have been able to deal with everything from head replacement to general troubleshooting on my Van. Not the cheapest shop around but they stand behind their work. 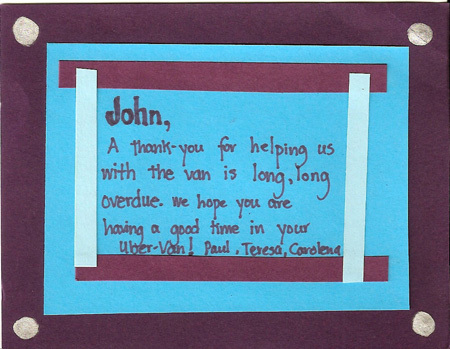 If you talk real nice to John and remind him that I sent yah he might even agree to use some of your parts …”once in a while” 🙂 Note … John has a Vanagon with a 3.3 Subie amongst his stable of rides. Don’t expect to camp out in his back lot, not that kind of shop 🙁 John is also a member of the Vanagon Resue Squad. Love E A T ! Would not let anyone else work on my SLK230. They are the best and fair prices. Thanks for a job well done guys!!! I’m currently traveling for 1.5 years in my 1990 Westfalia camper and the van recently started making bad clunking noises in southern Arizona. I called European Auto Tech and they told me to bring it in for a look. The owner John quickly diagnosed the problem as the CV joints. They ordered new ones, which arrived a couple hours later, and they had the van repaired the same afternoon. There hasn’t been a noise since. While it was on the hoist, John also fixed a few other nagging problems, such as a leaky gas tank. The service at European Auto Tech is excellent – both friendly and professional. (And yes, as someone else mentioned in an earlier review, the service manager is indeed cute). This is the best repair shop I’ve been to. John is a Westy enthusiast himself and has tricked out his van with a Subaru engine and Porsche transmission. Never before had I seen a Westy perform like a race car! Are you a client of European Auto Tech? We would like your feedback. Please submit it using the form below.